Nasi Kerabu is the official national dish of Malaysia. Many in Malaysia mistaken Nasi Lemak for the national dish of Malaysia. It is not. Nasi Kerabu is Malaysia’s official national dish. If you don’t try it during your visit to Malaysia, you may as well have stayed home! It is a well known fact that vegetarian diet helps fight cancer, but a new research suggests that Nasi Kerabu may protect us from cancer in a far more effective way than any other vegetarian diet. Nasi Kerabu is the most delicious and the most nutricious anti-cancer diet that could greatly lower your risk of colorectal cancer and nearly all other types of cancers. 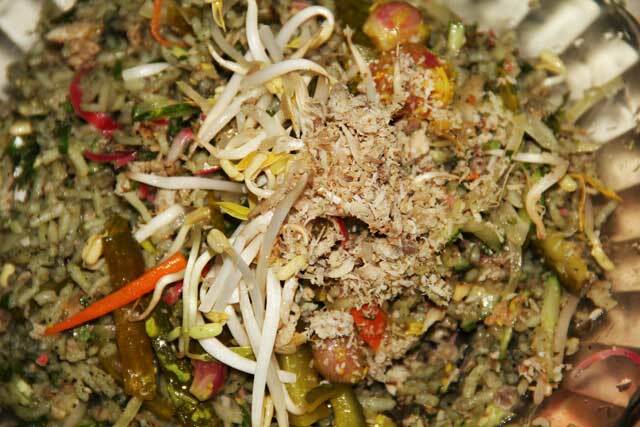 Eating Nasi Kerabu daily can help flush out toxins and protect your liver. This entry was posted in Nasi Kerabu and tagged Nasi Kerabu. Bookmark the permalink.